Happy 2019, we've made it to a new year! Welcome to our official first episode, yay! Since the holiday season is now over, we dedicated this episode to holiday traditions, new years resolutions (yuck), and compass words. Another exciting thing Jay and I have done is create an e-mail strictly for our listeners. We welcome your feedback, topic ideas, ect. 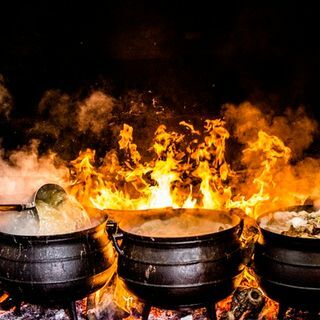 So join us as we "stir the pot" in this first of may episodes. (This first episode is in 3 parts) Byeeeeeeeeeeeee!